A new website for HEKS. 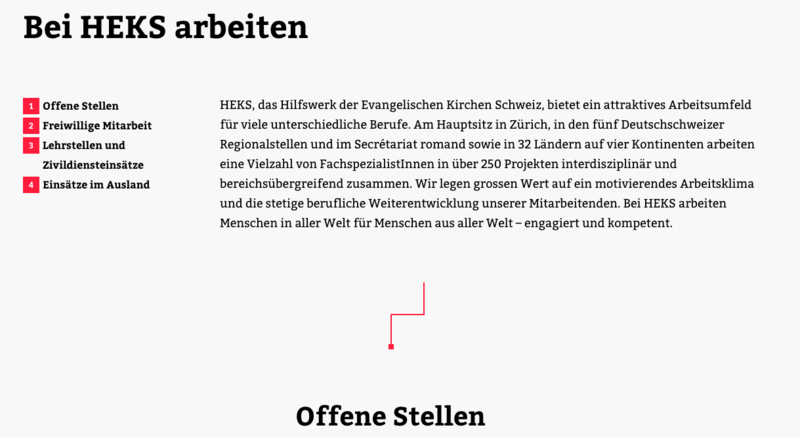 HEKS is the aid organisation of the Protestant Churches of Switzerland, with its headquarters in Zurich. 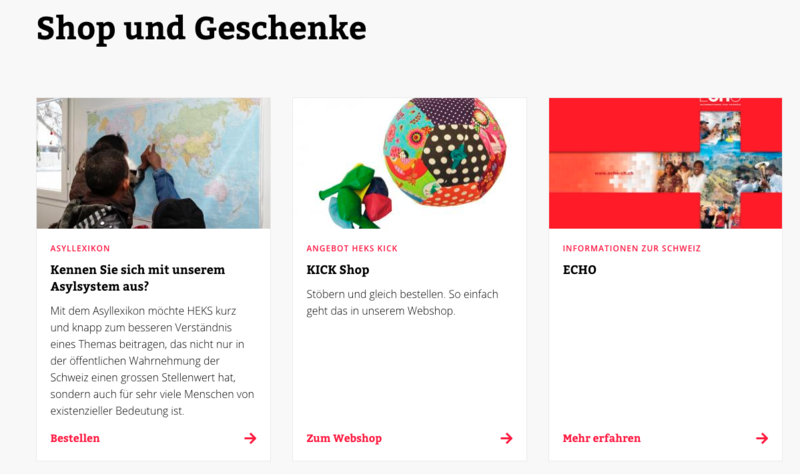 HEKS commissioned us to create a new web presence together with them. The range of global aid projects had to be presented in a clear and appealing way. A modular structure was required to allow editors to set up appealing pages with minimal effort. The aim was to use Drupal 8 to create a modular website that was both clear and appealing. The web page had to be dynamic, with the search function as a central element. The new appearance makes full use of the many advantages of Drupal 8 and allows editors to create customised pages. The modular structure means that pages and landing pages can be created in a range of different formats. Information can thus be presented in an attractive and appealing way. The optimally integrated search function allows users to find content not only on individual pages but also in existing PDFs. Pages are thus created with content that is dynamic and relevant for visitors. Users can quickly find topics that interest them. They can also support HEKS through RaiseNow, an online fundraising platform. The integration of this solution placed great value on user friendliness and the overall user experience. The flexible structure of the individual websites and the good integration of the fundraising solution allow us to present new content quickly and in an appealing form. 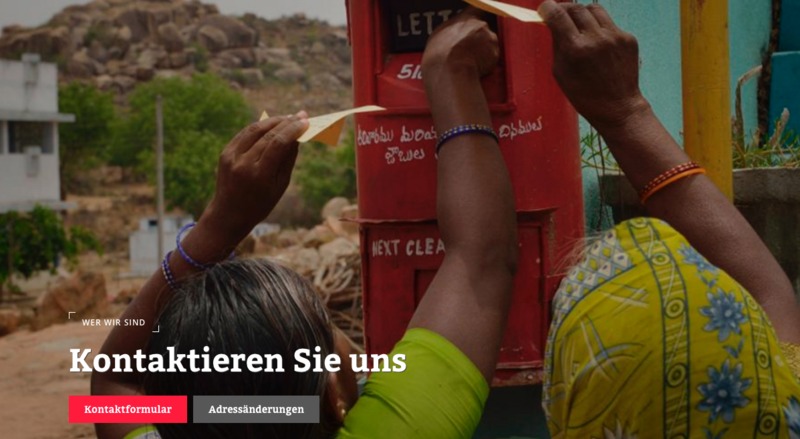 The new website is ideally suited to our daily work in order to make a difference.